Odissi is believed to be the oldest form of Indian traditional dance according to the archaeological evidences. Originated in Orissa, this art form is performed upon the independent movement of head, chest and pelvis areas. You can watch out pure dance formats and poem recital formats in this category. Mainly there are three schools existing in this format; Mahari, Nartaki & Gotipua. These were earlier performed in temples and other sacred places. They wear a crown which is made of a dried reed called sola and the jewelry they use are of silver. No wonder, this beautiful art form once even featured in Michael Jackson’s album Black & White. ited and the music is based on Carnatic music. They even use brass plates, candles, water pots (kundi) as props for their performance. A unique art form, I must say. Bhangra is a very popular form of dance, originated in Punjab region of the country. 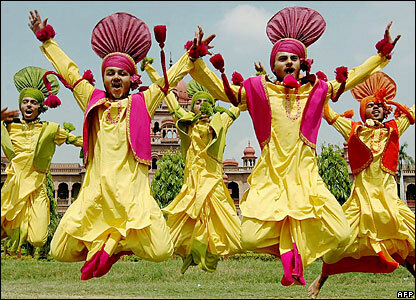 This dance form was initially to celebrate the coming of Vaisakhi festival. There is a distinctive music style associated with this form of dance. It’s a display of happiness, so the fast paced-whole body moving steps are the main attractions of Bhangra. Drums, table etc makes the effect better. Nowadays, you can watch many fusion bhangra mixed the traditional stuff with hip-hop and folk dance. You can see this dance format in weddings, engagement ceremonies and anywhere where people want to celebrate happiness. In my next part of this series, I will be reviewing some other forms which I found out interesting and unique in their own way. For a cue, it comes from the central part of our country. Do keep a tab on this space.